Carla Lewis died Saturday morning, December 22, 2012 at the John and Orpha Blair Hospice Home after a short battle with pancreatic cancer. Born October 11, 1946 in Kane, PA., she was the daughter of Roy “Rusty and Elizabeth Latt Burgason. In 1974 she married Leslie James David Lewis at Bethany Lutheran Church in Sheffield, and they spent 38 years together on Henrys Mill Hill in Barnes gardening, enjoying the woods, and their pets. 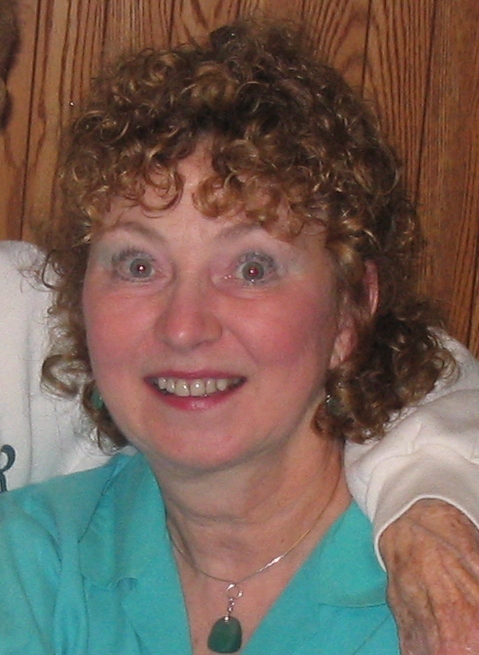 A 1964 graduate of Sheffield Area High School, Carla graduated from Clarion State College with a BS in ed., and from Edinboro University with an MA in English Literature. She also studied at the Anglo-American University in England. Les and Carla traveled semi-annually to England on leaves of absence for study, and in later years, became interested in the history of the Western US, visiting there often. Two weeks at a remote cottage in Downeast Maine and eating lobster were highlights of the month of August each year. Carla was employed as an English/Theatre teacher by the Kane area schools from 1968-2003 and was one of 6 finalists for state secondary teacher of the year nominated in 2000 by the PA Department of Education. Carla enjoyed her church family and served as a Sunday School teacher, Director of Children’s Music, Assistant Minister, Vacation Bible School musician, and as an alto in the choir. She was active in Warren Players as an actress, director, and writer, and for 8 years wrote a bi-weekly column, “From the Pines,” for the Valley Voice. She also enjoyed being a member of the Warren General Hospital Auxiliary and served as a waitress at the Window Box Café until her illness. Girl Scouts were an important part of her life also. Preceded in death by her parents, and several aunts and uncles, she is survived by her husband, Les; sister, Jill Fraser; brother-in-law, Gregory Fraser; and cousins, Earlene Peterson, Jan Phinney, Barbara Burgason, and Burdette Burgason. A memorial service will be held at Bethany Lutheran Church of Sheffield, PA. on Saturday, December 29, 2012 at 11:00 A.M. with Rev. Don Costlow, Pastor, officiating. Calling hours will be for one hour prior to the service in the sanctuary. Carla’s ashes will be scattered at the convenience of the family on Henrys Mill Hill. Arrangements are being handled by the Donald E. Lewis Funeral Home, Inc. Memorial gifts may be made to Bethany Lutheran Church, Hospice of Warren County, or the Sheffield Township Library. So Sorry to hear about Carla. She was so outgoing and friendly. After losing a sister in March, I know how you will miss her and it will seem unreal that she is gone. May she have eternal peace. My thoughts are with you. Carla will be remembered as an outstanding person, teacher, and colleague. She was an amazing person who made a huge difference in many students’ lives. We thank God for the privilege of having known her. Our deepest sympathies. Carla will be truly missed. She was a great inspiration to so many. I know she touched my life and it was better because of her. Carla had a large impact on my life. What a gift she was to our community. She will be sorely missed. My thoughts and prayers are with you.